So what happens when the biggest global exporter of petroleum liquids starts vouching for the power of the sun? 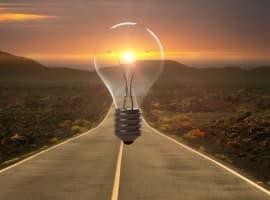 What we are witnessing now is a major shift in thinking by some of the biggest stakeholders in oil, who have started laying out a well-planned future investment strategy for their respective energy sectors, with solar taking the lead. One of the main reasons behind this is that solar technology is becoming more affordable and popular with each passing day. Given this scenario, let us now examine the top five emerging solar energy markets from an investment point of view. Moreover, China’s presence is not just felt at home. It has already made significant investments in the solar space abroad, with most of its clean energy investments (around $40 billion) made in the U.S. in the past decade. 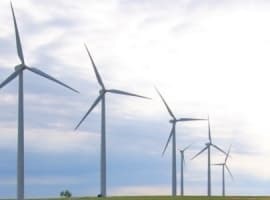 The recent ‘Re-Invest’ campaign in India saw several private and public sector companies commit almost $200 billion towards Indian renewable energy development. Judging from the investments pouring in its solar sector, India could well be a hotbed for the next solar revolution. US-based Sun Edison and First Solar have already committed to constructing around 20,000 MW of renewable power capacity in India over the next five years. In addition, well-known wind energy companies like Suzlon, Gamesa and Mytrah have also committed to invest in the Indian solar sector. In an interesting new development, despite an uneasy relationship, China is now showing interest in investing in the Indian solar manufacturing sector. China’s JA Solar Holdings (which raised $3 billion along with LDK Solar Co. in China in 2007 and 2008 according to sources at Bloomberg) is collaborating with India’s Essel Infraprojects to establish a 500 MW solar manufacturing facility in India. This is a significant development as we witness the two Asian giants in a rare collaboration aimed at making South East Asia a global solar manufacturing hub. Related: Terawatt Solar Farms By 2050? Saudi Arabia announced a $109 billion solar plan in 2012, but this plan was officially delayed by eight years this January. This is why Saudi Oil Minister Ali Al Naimi’s recent comments at a conference in Paris indicating that Saudi Arabia is preparing a transition from oil to renewables came as a surprise to many. For a country which holds nearly 16 % of the world’s proven oil reserves, a sudden inclination towards solar seems a bit odd. 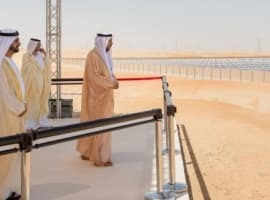 But one has to consider the fact that the desert kingdom utilizes a lot of oil for its domestic electricity needs which leads to an unreasonable increase in its internal oil consumption. According to a recent report titled Saudi Arabia Solar Power Market Forecast & Opportunities, 2020 from TechSci Research, Saudi Arabia’s government will aim to add up to 54 GW of power by 2032 from renewable sources, 41 GW of which would be from solar power alone. These are big numbers which will be of particular interest to several solar panel manufacturers such as SunPower, Sun Edison and First Solar. Related: Can Cigarettes Beat Tesla At The Energy Storage Game? 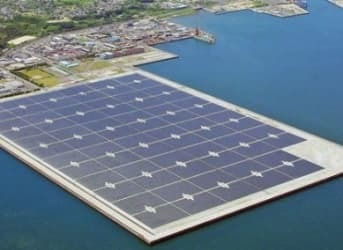 Currently among the top four markets for solar panels, Japan is all set to embrace solar power after its infamous Fukushima disaster effectively shuttered its nuclear industry. With a renewed focus on solar energy, Goldman Sachs has recently decided to increase its clean energy investments in Japan by forming a trust. According to sources at the investment bank, “[t]he Trust will target $1 billion in investor capital within the coming few years and provide institutional investors with broader access to long-dated investment grade rated renewable energy bonds. The investor capital will enable the Trust to provide solar and other renewable project developers access to large-scale, more efficient capital market financings as an alternative to traditional domestic bank debt”. In another important development, Solar Power Inc has decided to invest in Japan through a joint venture with a Japanese company K.K Uniroot. The companies plan to set up more than 500 MW of photovoltaics in Japan. For a country which was heavily dependent on natural gas, coal and nuclear energy in the past, Japan is slowly and steadily shifting its focus to solar energy as it has tripled its renewable energy capacity to 25 GW of which solar accounts for more than 80%. For perspective, Japan’s nuclear fleet accounted for 47 GW before all of the reactors were shut down. Being one of the most populous countries in the world, Pakistan faces frequent power shortages. With China’s assistance, Pakistan recently commissioned one of the world’s biggest solar plants in its Punjab province. The plant will generate around 100 MW initially and more than 300 MW by the end of this year. Quaid – E- Azam solar park has been constructed by China’s Tebian Electric Apparatus Stock Company. The Pakistani government has stated that Chinese companies plan to invest close to $30 billion in Pakistan’s solar sector in coming few years. Pakistan’s Prime Minister Nawaz Sharif was recently quoted as saying, “Since I became prime minister, my one goal has been to eliminate darkness in Pakistan and bring lights back to the country”. Poor connectivity to the national grid in remote areas and the erratic flow of water due to unpredictable rain patterns makes solar energy an ideal bet for Pakistan. However, the country first needs to deal with issues related to terrorism and internal political instability if it wants to attract big investments in addition to the ones coming from China. There is little doubt that Pakistan is one of the most promising solar energy markets in the world.